An incredible bass cabinet, offering you the ultimate in choice and tone. 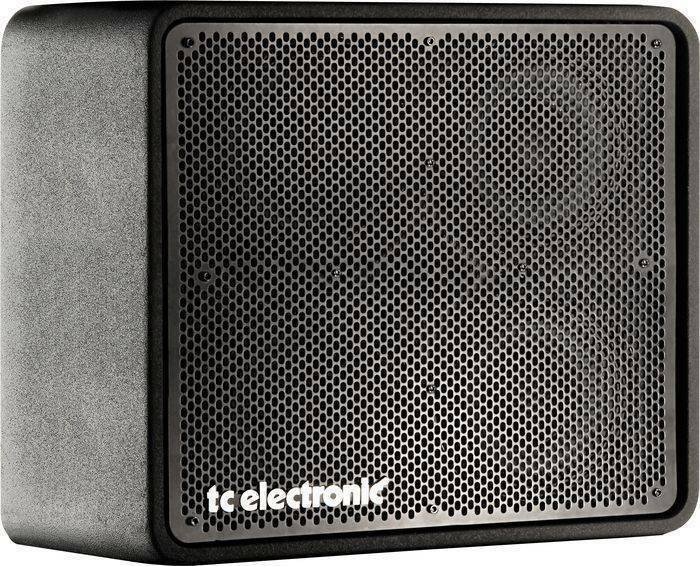 The TC Electronic RS410 is an 8 Ohm, 600W bass speaker cab that will allow you to instantly get the loudness and tight response necessary, whether you are on stage or in the studio. As with all of the RS range, the drivers are custom made by US company Eminence. The adjustable center HF driver ensures that you get optimal response and brightness, and overlaps the frequency response of the 4 x 10" drivers to give added presence in the high/mid sweetspot. Mix and match from the range of 3 cabinets to find the perfect response and tone for your needs. The conventional stacking of two RS410 bass speakers will allow a 4 Ohm configuration of 8 x 10" drivers, which should satisfy those of you who need a really large stage setup. The RS range incorporates a rugged design with an anti-scratch finish and uses a dual-component 'anti skid' surface treatment to help TC Electronic speaker cabinets 'stick' together when stacked. The RS410 bass speaker cabinet features two high-quality Speakon connectors as well as a heavy duty HF attenuator on the rear side.